The University Preparatory Program (UPP) is a FREE* one year program for anyone who wants to get ready to enter university. It has been designed for those who have never been to university or have not studied for a long period of time. Best of all, there are no prerequisites for entry into the UPP. The program will help you to improve your skills in numeracy, literacy and research, while providing an introduction to university culture. The program aims to give you the tools to become a successful university student so you will come away from the program with the confidence to go on to further university study. 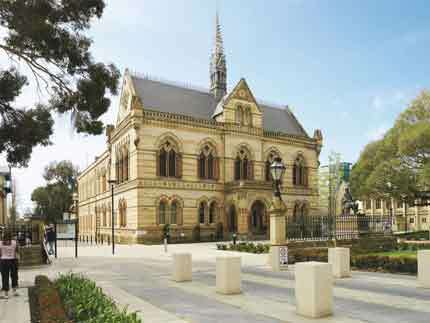 When you enrol into the UPP you will study at the University of Adelaide's North Terrace campus, having access to all of the first class facilities the University has to offer. What degree can I do after the UPP? In addition to completion of the UPP, completion of specific courses will be required for entry into certain programs (see program structure). Entry into the Bachelor of Nursing is competitive and based on student Grade Point Average (GPA) across the whole UPP. Entry into Bachelor of Teaching degrees will also be based on successfully meeting the non-academic requirement. You must be 17 years or over by 1 January on the year you commence study. If you have not completed Year 12, you must have been out of school for at least one year. You must be an Australian citizen, New Zealand citizen resident in Australia, permanent resident of Australia, or holder of a permanent Humanitarian Visa. 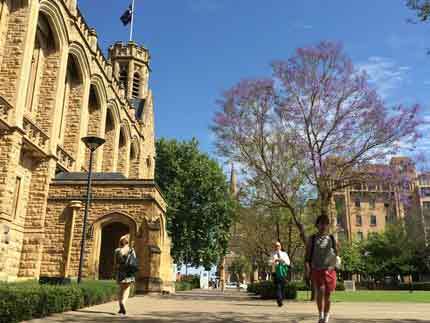 You must not have studied for longer than one semester of full-time undergraduate studies at any Australian university, regardless of the results, unless that study was undertaken more than five years previously. Free with no course fees (although there may be costs for materials). Centrelink approved, as long as you study a full-time equivalent (75%) load, you should be eligible for Centrelink benefits. Full-time and part-time study options allow you to fit the UPP around your current lifestyle. It is a one year program however you can take up to two years to complete it. The perfect first step if you would like to study a university degree. 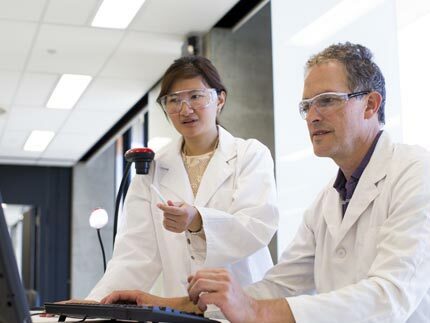 Courses are integrated with University degree programs, allowing you to experience authentic undergraduate learning on the North Terrace campus. UPP students get a lot of individual attention. After you have applied, you will meet the Program Coordinator to identify your learning goals, needs and capacities. Staff are available throughout the program to discuss your progress. As a UPP student you will have a student card and access to all the support services and facilities available to undergraduate students. Individual assistance with numeracy and literacy if required. Please note that the above services are only available to students studying on the North Terrace campus. To apply for the University Preparatory Program, please complete an online application form. This program is for Aboriginal or Torres Strait Islander students aged 17 years and older. For more information, visit the Wirltu Yarlu website. This program is for Aboriginal or Torres Strait Islander students wishing to study music. For more information, visit the CASM website. 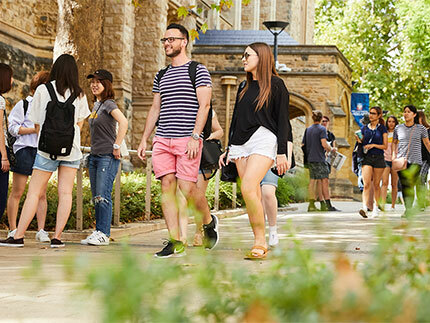 If you have lived for 5 years or more in a rural or remote location, you may be eligible to apply to study medicine at the University of Adelaide under the Rural Background Entry (RBE) pathway. Find out more in our knowledgebase. *No course or amenity fees apply, however this does not consider other incidental costs and living expenses such as; travel, stationary etc. For more information visit our other financial considerations page for future students.